September 1988. Mediterranean Sea. Photo from the archives of A. Andreev. Laid down date: 11 September 1976. Launch date: 25 April 1977. Commission date: 24 November 1980. Main machinery: 4 x MTU-Bazаn 16V 956 TB91 diesels ( 15000 hp ). 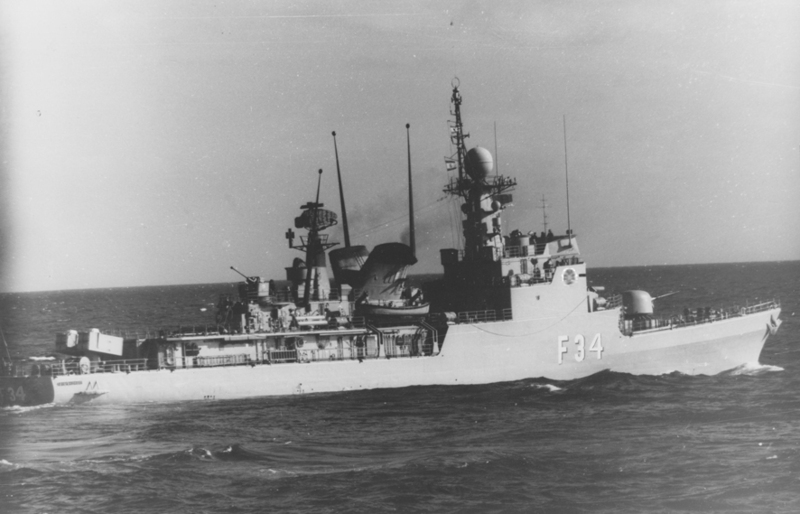 Comment: Converted to Patrol ship, P-77 Infanta Cristina.